Here’s something I’m sure a lot of you can relate to. I love to decorate my house for the holidays! The second October arrives, I start to decorate my house with fall decor, including, Halloween decorations, pumpkins, fall scented candles, wreaths, etc. And the day after Thanksgiving, is the day that I allow myself to decorate for the winter holidays. I just absolutely love how the cold weather, mixed with inviting scents and sights, can make a home seem even warmer and homeier! So last Saturday, while Willy was at his social group, Jason and I decided to set up our Christmas tree, and surprise him with it when he returned home at the end of the day, with the promise of decorating it together as a family. I only wish that I had gotten his reaction on video, because it was absolutely priceless! It literally went something like this: he was dancing around the living room and singing to himself, “A Christmas tree! A Christmas tree!” And then he proceeded to ask if he could help decorate it? I almost fell over because his speech is getting incredibly good, including his question asking. So we told him that after dinner we would all decorate the Christmas tree together. And he was happy with that response. My favorite part of decorating just about anything, especially a Christmas tree, is being able to get the first picture of the first ornament being placed on the tree. It’s important to me, just like many of my sons “first’s,” because I never know from year-to-year what will be important or special to him and what won’t be. The look on his face says it all! His careful placement of ornaments one and two are perfection in my eyes. 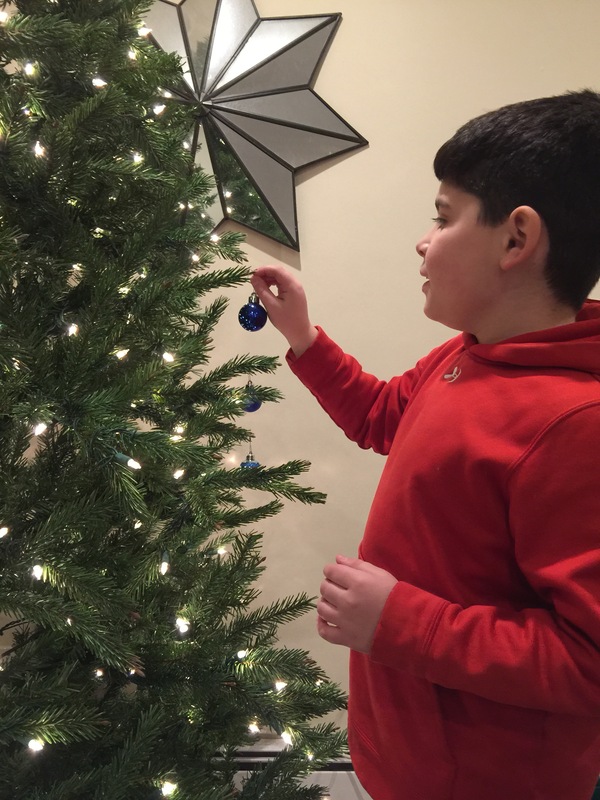 As we all sat on the couch and admired the beautiful tree right before Willy’s bedtime, I told him how much I loved and appreciated his help, and how he helped make the tree even more beautiful this year, than last year. And off he skipped to bed, pleased as punch with himself. Well, the next morning, Willy was up unusually early, and as he dashed from his bedroom to the bathroom, he was fully expecting to see presents under the Christmas tree! When I told him the Christmas wasn’t coming for a while, he had a full on meltdown! He threw himself to the ground crying and wanted to know where his presents were? 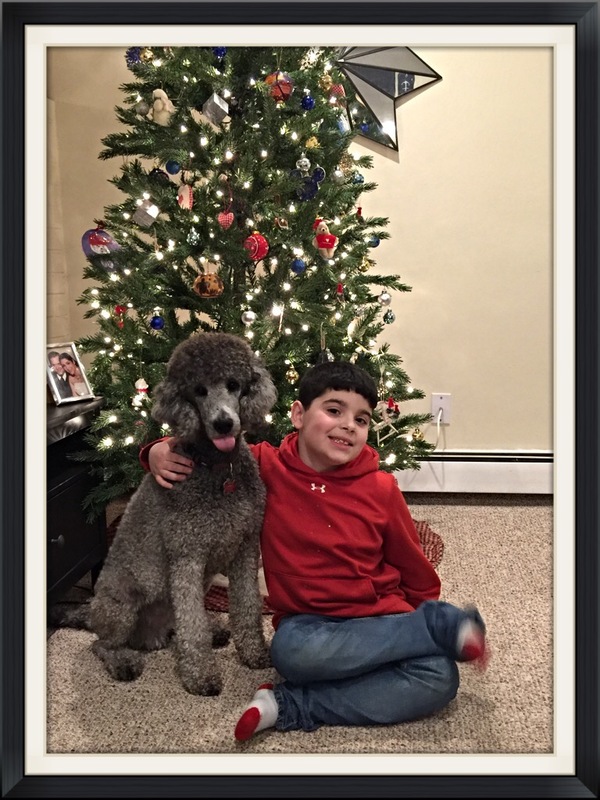 When I told him that Santa wouldn’t be coming for quite a while, I knew that he was incredibly confused, because the weather was cold, the Christmas tree was up, the house was decorated, and we had just seen family the day before. I can totally understand why he thought that Sunday would be Christmas! 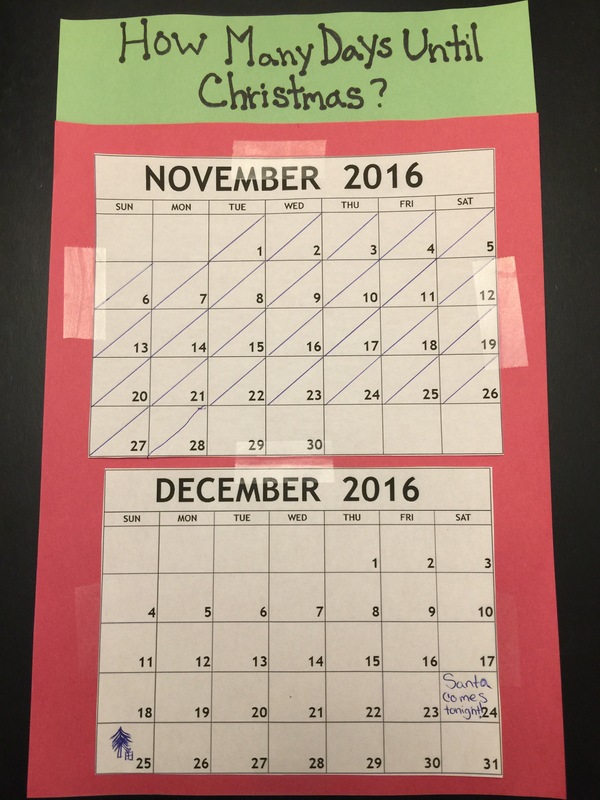 So once he calmed down, I explained to him (with a homemade calander) when Christmas would be here, and how many more days until Santa’s arrival. And each day we would cross off a day on the calendar together, and then we would be that much closer to Christmas. This morning, he was incredibly excited to cross off another day on the calendar, but was still disappointed that we still have many many more days to go until Santa gets here. But at least I was able to snap this picture after we finish decorating the tree on Saturday night. Aren’t they CUTE? I honestly can’t stand how cute they both are!!! But anyway, since my boy is such a lover of just about every holiday known to man, I promised him that if he behaves himself, and shows patience by crossing off one day at a time on his calendar, Santa might just leave him one small present under the tree before Christmas gets here. … I think he can do it! Thank you so much. It’s amazing the difference a year makes.